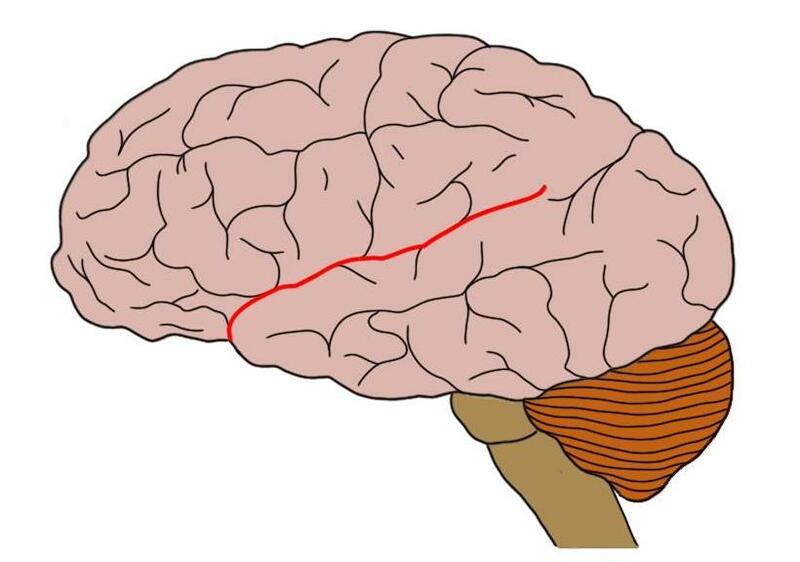 Lateral sulcus outlined in red. aka lateral sulcus, the Sylvian fissure is a large sulcus that separates the temporal lobe from the frontal and parietal lobes. Watch this 2-Minute Neuroscience video to learn more about some of the recognizable features of the brain surface.